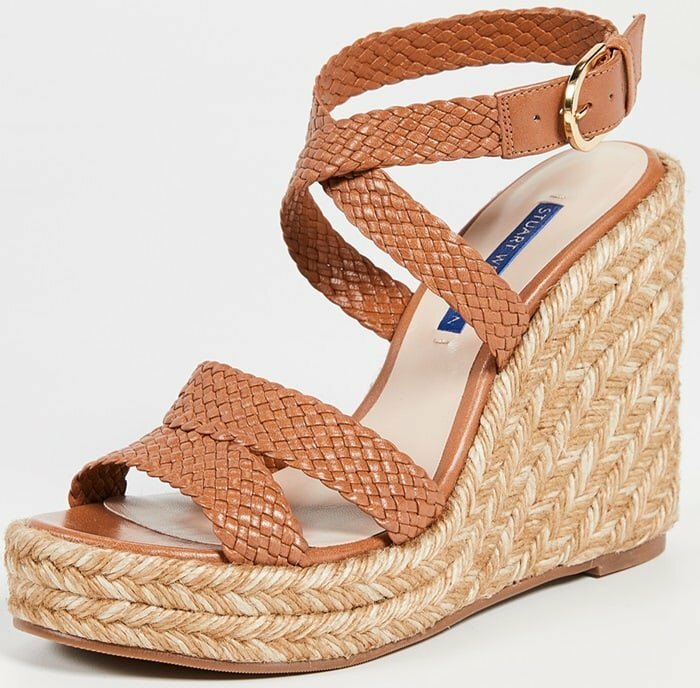 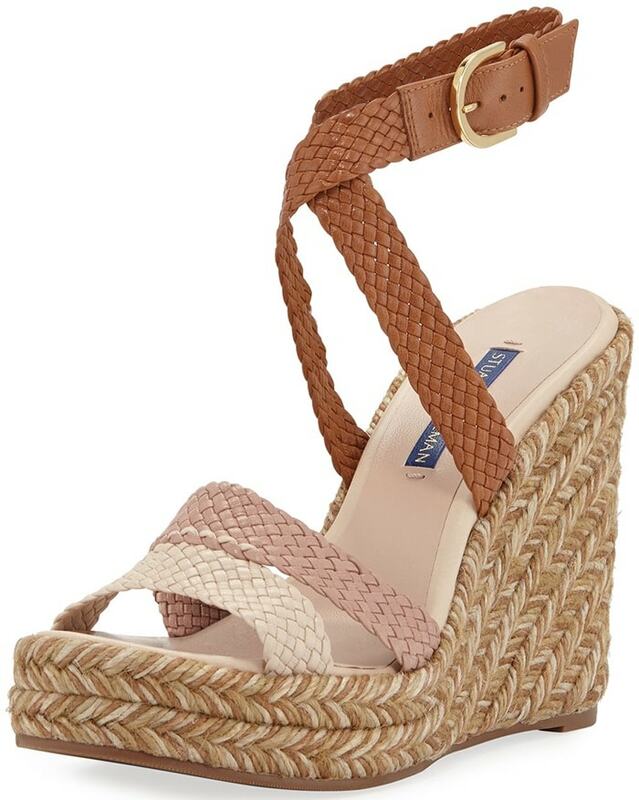 An artisanally braided tri-colored jute sole lends a luxe touch to the bohemian Elsie wedges from Stuart Weitzman that you can buy in adros, cuero, white, red, and beige. 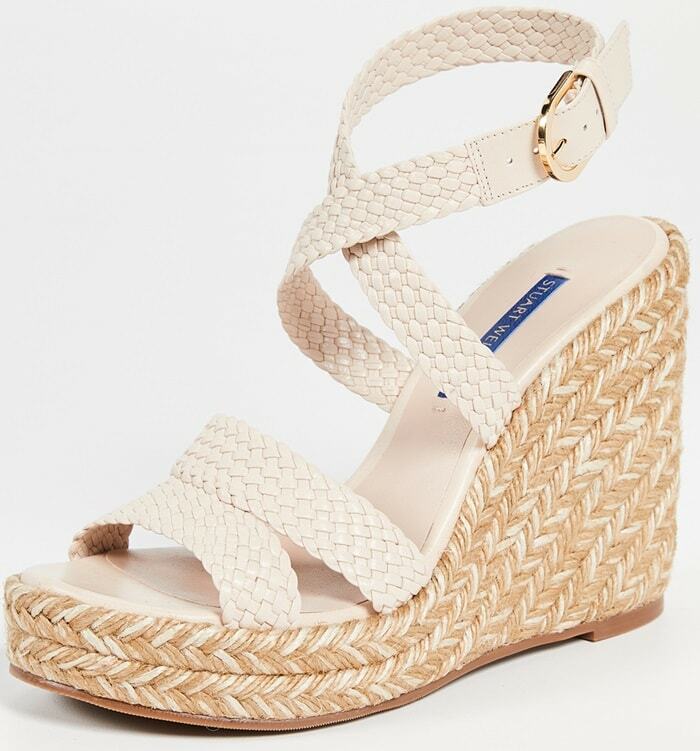 Crafted in Spain, these espadrilles are further refined by woven leather straps that wrap around the ankle for a foot-framing finish. 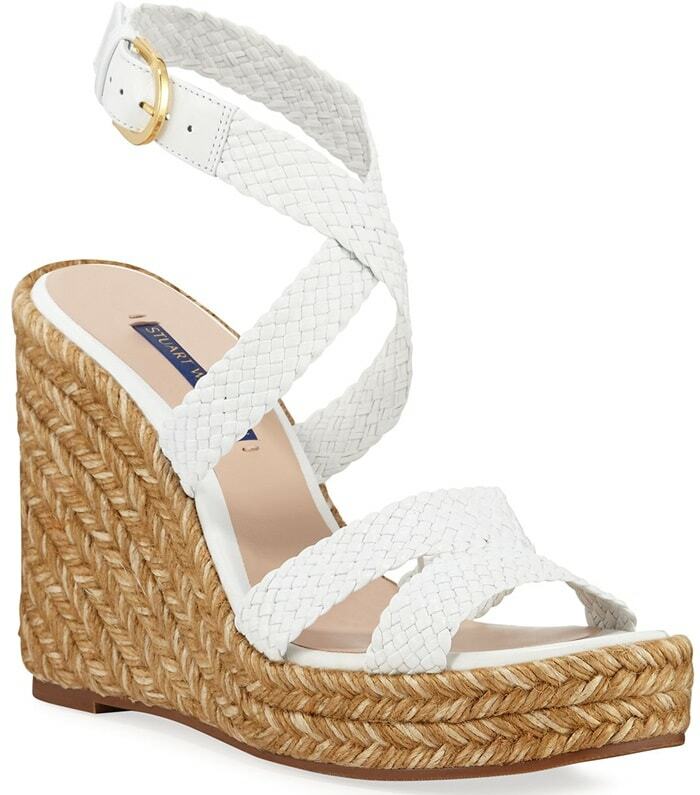 Make them the highlight of your wardrobe and pair them with white flowy dresses and cool straw bags. 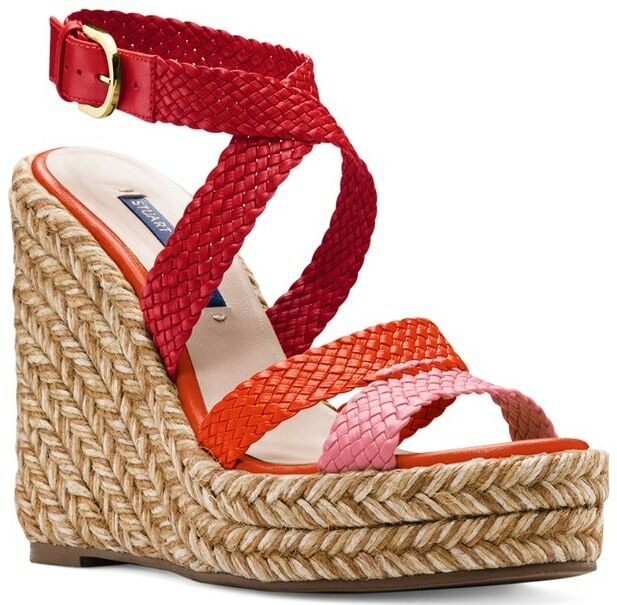 A platform wedge wrapped in braided, tri-color jute boosts the textural richness of a sandal featuring beautifully woven straps.